The Degradation of Captain Dreyfus, marching the Prisoner to the "Parade d'Execution," 5 January 1895. 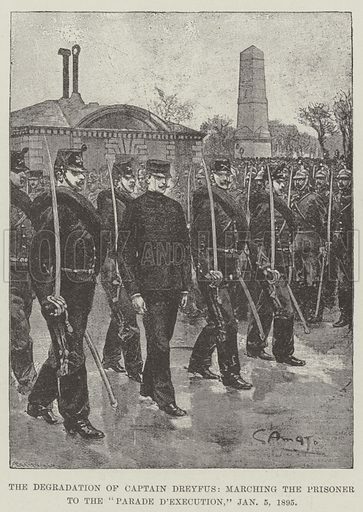 Illustration for The Illustrated London News, 10 September 1898. Available worldwide for immediate download up to 3,367 x 4,751 pixels.